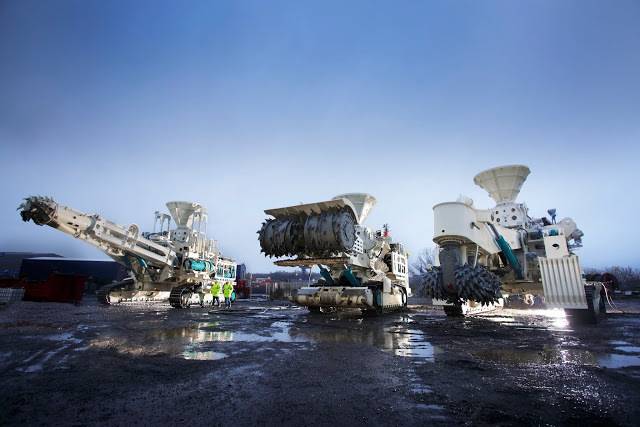 Deep-sea mining is about to take an enormous step into the future. Off the coast of Papua New Guinea, in the Bismark Sea, the extraction of rich gold and copper deposits by a multinational group is promising high returns and they insist they are doing their best to allay environmental concerns. Court action has been launched amid claims the PNG government is withholding information about the multi-billion dollar project, Solwara 1 field, operated by Nautilus Minerals Inc, a Canadian-based company backed by Russian and Omani mining firms. The Centre for Environmental Law and Community Rights in Port Moresby says there are serious issues with the mining operation and deployment of state-of-the-art heavy digging equipment about 1.6 kilometres below the surface. Locals say have not been consulted properly. Renowned environmentalist and journalist David Attenborough has also opposed the project because thermal vents, where the deposits are often found, are a key source for the earliest signs of life on Earth. He fears they will be damaged and insists they should be protected. In 2009, Nautilus was granted an environmental permit for the Solwara 1 field – a volcanic area between the islands of New Britain and New Ireland – after the initial finds were made by Australian-based CSIRO in 1996. A mining license was granted two years later. Seabed mining – which Nautilus described as the next big disruptive technology – is normally focused on areas around metallic nodules, also known as active or extinct hydrothermal vents, which carry valuable metal deposits. The deposits are excavated and drawn to the surface in a slurry, the water is removed and the rock transferred and broken down for minerals like gold, copper and tellurium while the extracted water is discharged on the sea floor. Tellurium is a key metal used in the making of high performance solar panels and its grades are up to 50,000 times more concentrated when dug from the sea-bed. Its supporters also say that deep sea mining is an effective alternative to traditional mining on-land, which has proved destructive to the natural environment around the world. “It makes sense to explore this untapped potential in an environmentally sustainable way, instead of continually looking at the fast depleting land resources of the planet to meet society’s rising needs,” Mike Johnston, Nautilus’s chief executive, recently told The Guardian. But the area is rich in fish stocks and supports a lucrative tuna industry. Any damage to sea floor, scientists warn would have a detrimental impact on marine life in the area thus the Solwara field is increasingly being seen as a litmus test for an industry gearing up for the next big gold rush. Critics also said the environmental impact assessment is insufficient as it does not include a “rigorous risk assessment” or an environmental management plan. Like East Timor, PNG wants entry into ASEAN, a trade bloc that has done to little to protect its own environment against the forces of developers and corporates with much deeper pockets than the landowners whose real estate they’d like to monetize. Rainforests in Vietnam, Cambodia, Laos and Thailand and the wildlife they houses have been devastated, the annual haze, caused by forest fires in Indonesia, is an international embarrassment, islands and river communities have been lost to sand dredging and fish stocks in the Mekong River and other major waterways are pitiful when compared with just 20 years ago. And given the wealth of marine life and an abundance of seabed topography suitable for this type of mining around Southeast Asia — particularly in Indonesia and The Philippines — ASEAN must pay closer attention to this issue if a repeat of the ecological disasters of the past are to be avoided.